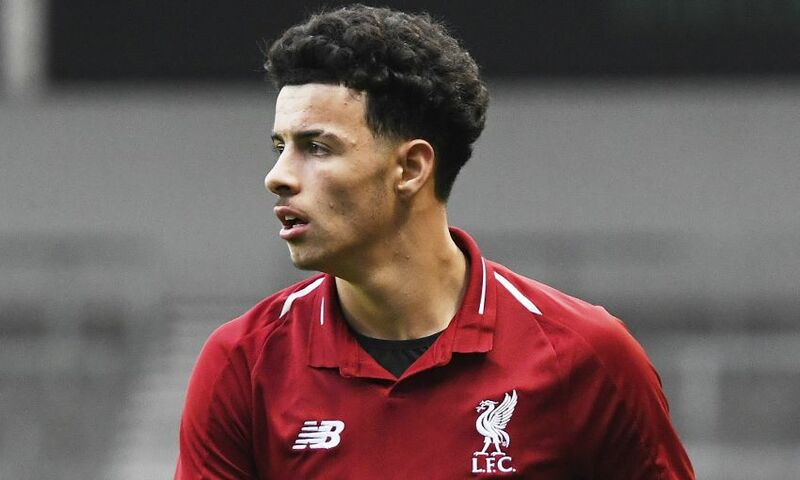 Liverpool U19s were eliminated from the UEFA Youth League at the last-16 stage after a penalty shootout defeat by Dinamo Zagreb, following a 1-1 draw in the Croatian capital on Tuesday. In a hard-fought encounter at the Stadion Hitrec-Kacijan, Barry Lewtas’ charges lost goalkeeper Vitezslav Jaros to injury at half-time yet took the lead through Bobby Duncan shortly after the break. However, Dinamo levelled with just over 20 minutes to play and then prevailed 4-3 on spot-kicks when their goalkeeper, Dinko Horkas, saved from both Liam Coyle and Duncan. The young Reds had qualified for the last 16 via the Champions League path, topping Group C ahead of Paris Saint-Germain, Napoli and Red Star Belgrade. Dinamo, meanwhile, had instead progressed along the Domestic Champions path, getting the better of Viitorul Constanta, Astana and Lokomotiv Moscow to reach this stage. Lewtas named a strong line-up featuring five tournament ever-presents and spearheaded by prolific pairing Paul Glatzel and Duncan. Dinamo had the first meaningful opportunity in the fifth minute, Antonio Marin’s cross volleyed wide of the left-hand post by Leon Sipos. Marin had a go himself 10 minutes later, his low drive parried by Jaros. Igor Jovicevic’s side threatened again in first-half stoppage-time when Bartol Franjic charged into the box and blasted in a shot from a tight angle that Jaros saved well with his feet. Having recorded more attempts on goal than any other team in the tournament up until this stage, Liverpool unusually reached half-time without mustering one in the Croatian capital, despite shading the possession stats. And Lewtas was then forced into an unplanned change at the break, sending Dan Atherton on for his Youth League debut in place of Jaros. The visitors immediately posed a greater threat when play resumed, Duncan collecting a flick from Jake Cain and firing a half-volley which Filip Antovski dived in to block. Dinamo soon countered – Atherton’s first involvement an impressive save from Marijo Cuze – but then in the 53rd minute came the opening goal and a perfect demonstration of what has made the Glatzel-Duncan partnership so special this season. Glatzel gathered a throw-in out on the right flank and showed speed, skill and strength to beat several men, make it to the byline and send in a low cross that Duncan tapped in at the back post. It was the 17-year-old’s second goal of the tournament in only his third start. Cain almost doubled the young Reds’ lead in the 66th minute but Horkas palmed the midfielder’s rasping effort from distance round the post, and less than a minute later Dinamo were level. The effervescent Marin jinked into space down the left and his cutback was lashed into the roof of Atherton’s net by Sipos. The Croats squandered a glaring opportunity to take the lead with 15 minutes left when another inviting low ball was delivered from the left but both Sipos and substitute Roko Baturina let it trickle over their toes and out of play. Horkas got his hands to Adam Lewis’ cross to snuff out a promising attack – and so the tie ended 1-1 and went straight to a penalty shootout. Both sides successfully converted their first penalties but it was 2-1 Dinamo when Coyle’s attempt was turned away by Horkas. Atherton then dived to his right to make an excellent save from Marin and when Curtis Jones slotted in his spot-kick Liverpool were level. Baturina and Cuze both subsequently netted, as did Glatzel, leaving Duncan with the responsibility of taking it to sudden death, but his attempt was slapped away from the corner by the outstanding Horkas, ensuring a cruel end to this season’s European adventure for Lewtas and his players. Liverpool U19s: Jaros (Atherton), N. Williams, Lewis, R. Williams, Boyes, Coyle, Sharif, Cain (Clarkson), Jones, Glatzel, Duncan. Unused substitutes: Larouci, Dixon-Bonner, Walls, Savage, Ritaccio.